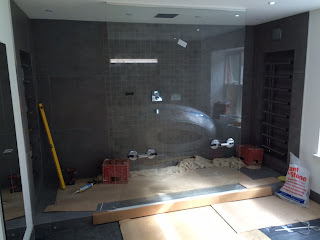 Here are some images from a bathroom project that we are supplying and fitting in Buckinghamshire. It features a luxurious double entry walk in shower using a Majestic Ceiling Mounted Panel from the Oslo range. 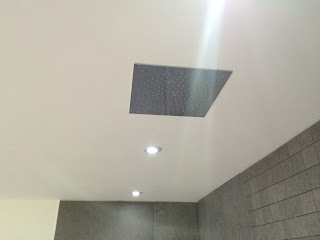 The shower will be fed by a Hansgrohe Raindance AIR concealed overhead shower. For a more indulgent time, a Villeroy and Boch Aveo Freestanding Quaryl Bath is to be installed in prime position to take advantage of the available space, allowing the client to take a relaxed bath in stunning surroundings, finished of with Greige Villeroy and Boch Oregon Tiles. 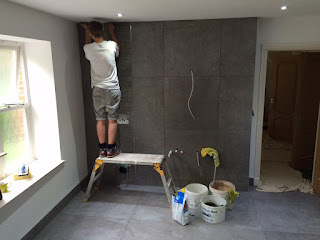 Make sure you come back to see the finished results in a couple of weeks. If you are interested in our services, please contact us anytime.